UPDATED THROUGHOUT (Nov. 24): A Jewish medical student at Tulane University is being hailed as a hero and is recovering from being shot after he stopped his car to assist a woman who was being assaulted. Peter Gold, 25, spotted a woman being carried against her will toward a car on St. Mary Street as he drove along Magazine Street at 4 a.m. on Nov. 20. 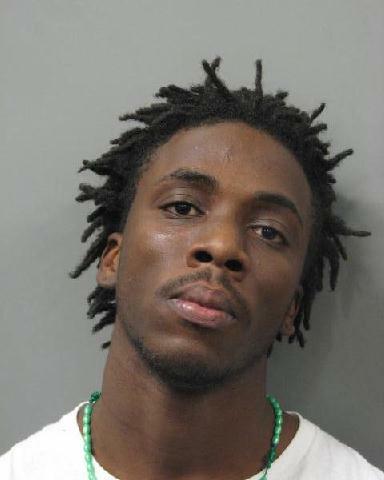 On Nov. 23, Euric Cain was arrested for the incident and charged with attempted first degree murder, second degree kidnapping, attempted armed robbery and armed robbery. He is being held without bond. A bond hearing has been set for Dec. 3, and a preliminary hearing will be on Dec. 16. When Gold saw Cain and the woman, he turned against traffic onto St. Mary and went to the woman, who by then was laying on the sidewalk. Her attacker, who had taken her purse and entered a vehicle, then emerged from the SUV, demanded any valuables that Gold might have, but Gold wasn’t carrying any money. The attacker pointed a pistol at Gold’s face and pulled the trigger while Gold had his hands up, but the gun jammed. The attacker then lowered the gun and shot Gold in the stomach, then tried to shoot him in the head again, but the gun jammed a second time. After that, the assailant got back into the car, described as a grey Ford Expedition, and sped off. The woman, who has not been identified, was treated for minor injuries. Gold was in guarded condition and is expected to recover. His condition was upgraded to stable on Nov. 24. Tulane University put up a $10,000 reward for information leading to an arrest and indictment, and Crimestoppers put up another $2500. Security camera footage was released and helped lead to the arrest. Cain was identified on Nov. 22 and his vehicle was recovered the same day. He was taken into custody at a home at 11:30 a.m. on Nov. 23. Cain has a criminal record that includes charges of possession of a stolen vehicle, several weapons charges, and he was last arrested on Nov. 2 for possession of a stolen cell phone that was taken in a carjacking. After being arrested, Cain made a “full confession” to the armed robbery of the unidentified woman and the shooting of Gold, according to NOPD Superintendent Michael Harrison. Cain was attempting to take the woman’s purse when Gold drove up. Two women were in the house where Cain was arrested. After interviews, one of them, 17-year-old Nictoria Washington, was arrested as an accessory after the fact for hiding him. She is described as Cain’s girlfriend. On Nov. 23, Tulane spokesman Mike Strecker released a statement on behalf of the Gold family, saying "Peter continues to improve and remains in guarded condition. The Gold family is very grateful to the doctors and other medical professionals at University Medical Center who are providing such excellent care for Peter. We again ask that everyone respect our family's need for privacy during this difficult time." Fitts said Gold “is an outstanding student who represents the best of Tulane in every possible way.” He also noted that Gold has been active with Hillel, and both his parents and sister attended Tulane. Gold is from Longwood, Fla., and received his undergraduate degree in sociology from Tulane. 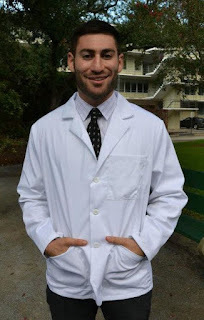 He received the department’s Outstanding Student award his senior year. Speaking of Gold, Landrieu said "His courage is another example of the fact that the citizens of New Orleans are not going to turn a blind eye to crime, and that we are going to fight back." Michael Weil, executive director of the Jewish Federation of Greater New Orleans, called him "a true hero" and said "may he have a speedy successful recovery."